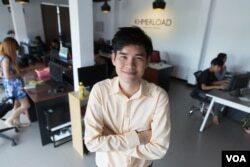 Five-year old Khmerload, a Cambodian entertainment news website modeled after the American media giant Buzzfeed, has become one of the country’s first local tech startups to attract the backing of Silicon Valley investors. The company received $200,000 from 500 Startups, a global venture capital seed fund and startup accelerator based in Mountain View, California. 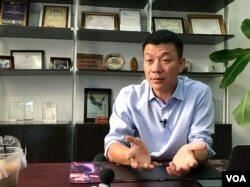 In Vichet, Khmerload’s founder and CEO, told VOA that the new investment will help international investors see the potential of startups in Cambodia, one of the poorest countries in Asia. But reaching out to a far away investor in Silicon Valley is not easy for a new startup, which also has to focus on making ends meet. Indeed, Khmerload struggled to attract interest. There are now more than 120 tech startups in Cambodia, along with some 10 co-working spaces in Phnom Penh and Siem Reap, according to Thul Rithy, founder of Phnom Penh-based co-working spaces SmallWorld and Emerald Hub. He says their potential is partly limited by a lack of interested local investors, who have yet to decide to take risks and trust the mostly-young entrepreneurs of a nascent tech sector. Chea Langda, 27, is CEO of online ticketing website BookMeBus.com. The company is the first Cambodian startup to receive an investment. It did so from both local and foreign investors in 2016. As the company has grown, it has recently moved out of Emerald Hub to its own dedicated office space. Langda says 90 percent of technology startups worldwide fail and from his experience so he appreciated that his funding came with business mentoring. Although there has yet to be a Cambodian success story in terms of a return on investment, there are signs local investors are paying attention to the potential of tech startups. One of the first local investors is Chy Sila, CEO of Sabay Digital, one of Cambodia’s largest digital media and entertainment companies. He started investing in local startups in 2014 because he understood the potential of these companies and his own company also used to be startup. 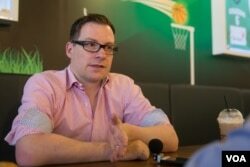 He believes local investors have a lot of money to invest because tech startups only require a little initial capital, but stand to make high returns. He says BookMeBus is an example of how he and other investors invested a mere $15,000 for a 15 percent stake in the company. Sila is an angel investor, an early investor who is important for helping promising startups grow. He, Rithy, and other investors have recently formed Corco Angel, a club of local investors interested in investing in the tech sector. Smart Axiata, one of the largest telecom companies in Cambodia, recently launched a $5 million digital innovation fund, the first such fund to help Cambodian startups. Smart CEO Thomas Hundt told VOA that all technology companies, including Smart itself, have to start somewhere. 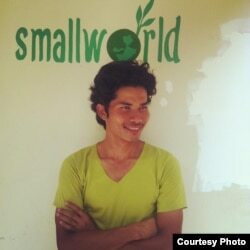 Through the new fund, he hopes to see more professionalism in Cambodia’s startup investment, like in other countries. In February, Smart also launched another program, the StartSmart Young Innovator Program, to help students work to develop business ideas in tech before they find a startup. 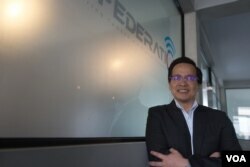 Steven Path, president of the ICT Federation of Cambodia, which represents the fledgling tech sector, is encouraged by the new trend of startup investment. He agrees that local investors will become less hesitant to invest once a Cambodian tech startup has delivered a big return to them. Both five-year-old Khmerload and two-year-old BookMeBus have yet to deliver big investment returns. But the founders of both Cambodian tech startups are optimistic that the new startup fund by Smart Axiata, the new group of angel investors, and their own recent successes, will encourage local investors to start taking more risks investing in the country’s potentially lucrative young tech industry. As investment in startups have gained traction, Cambodian technology education remains underfunded.